A municipal employee, three high school students, a local business and three residents have been named 2014 Sustainable Princeton Leadership Award winners. Activities conducted by the honorees ranged from planting municipal gardens to hosting zero waste school picnics and conducting a greenhouse gas assessment at a local school. Awards will be presented at 7 p.m. Thursday, Jan. 29, in the community room at the Princeton Public Library. The award ceremony is free and open to the public. Alexandra Bar-Cohen – She volunteered to create zero-waste events and a zero-waste culture at the Jewish Center and Littlebrook Elementary School. She also was an advocate for the county plastic bag referendum. complex at 400 Witherspoon Street. Hutchinson “Huck” Fairman – He regularly informs the community about environmental issues in newspaper columns in the Packet, and does not receive any money for his work. 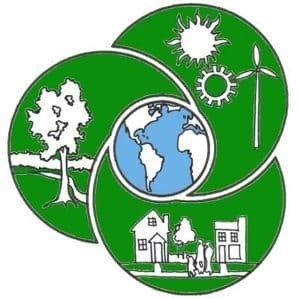 Conservation Congress run by the Green School’s Alliance. Princeton Printer – The business has demonstrated leadership in running a green business. Solar panels have been installed on the store’s rooftop. The company uses soy ink and recycles old printers. Penny Thomas and Susie Wilson – The pair worked to implement the curbside organic waste program, Princeton Composts, at Constitution Hill. They worked with their neighbors, their property owner’s association and Princeton’s recycling coordinator to successfully bring the program to their neighborhood.